Sarah Cannon, the Cancer Institute of HCA Healthcare, offers integrated cancer services with convenient access to cutting-edge therapies for those facing cancer in communities across the United States and United Kingdom. 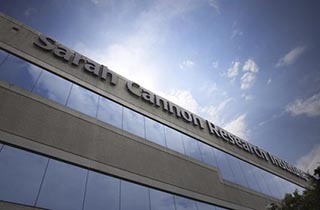 Sarah Cannon’s cancer programs include individualized patient navigation provided by oncology-trained nurses, more than 1,100 stem cell transplants performed annually throughout the Sarah Cannon Blood Cancer Network, hundreds of clinical trials, and molecular profiling capabilities. Through its services, Sarah Cannon is providing state-of-the-art cancer care close to home for hundreds of thousands of patients, a number unmatched by any single cancer center. To learn more about Sarah Cannon, visit sarahcannon.com. Sound Depot, Inc. Safeway Security Systems, Inc.